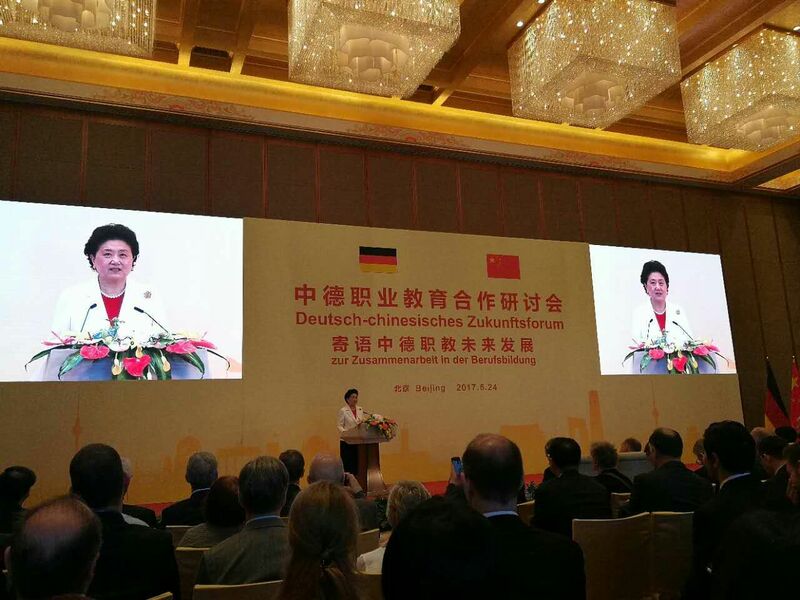 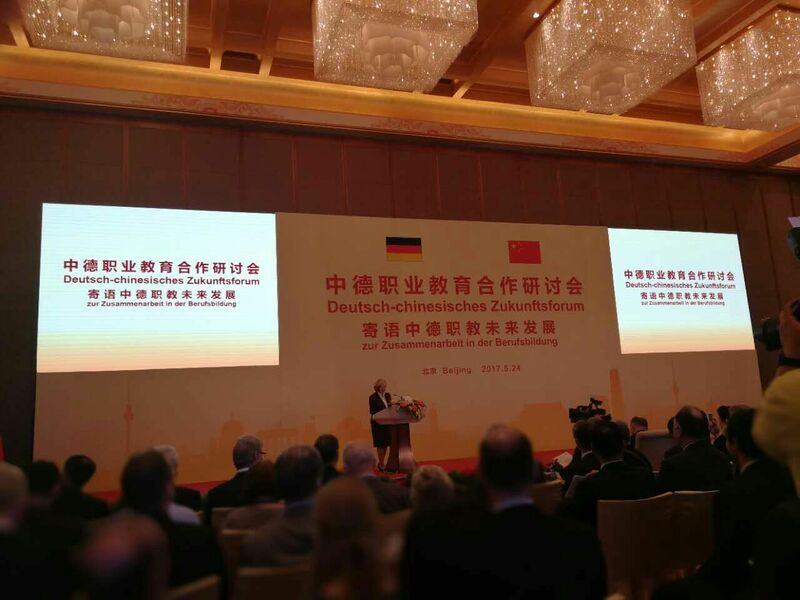 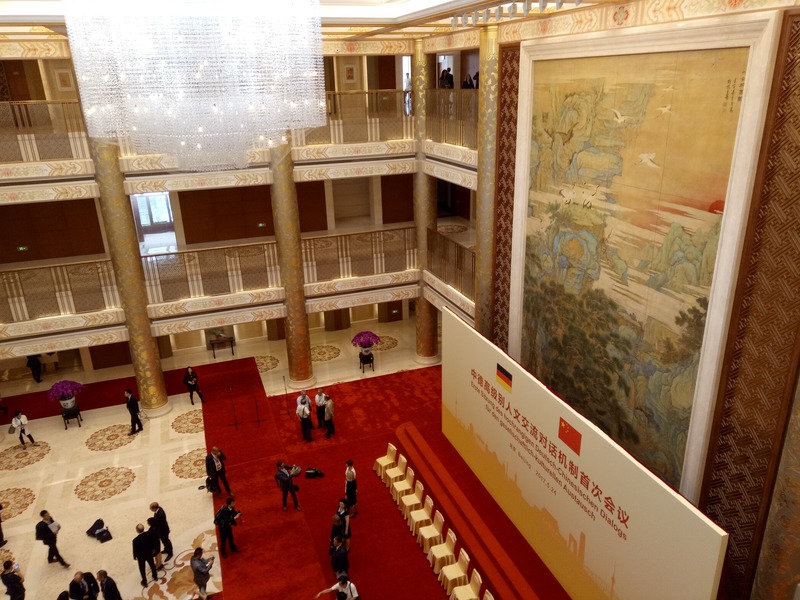 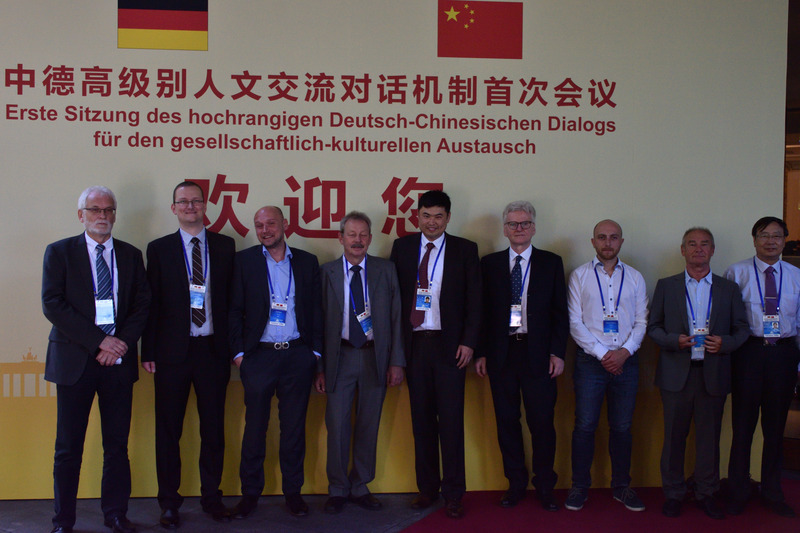 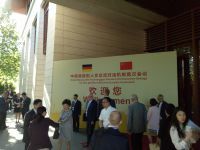 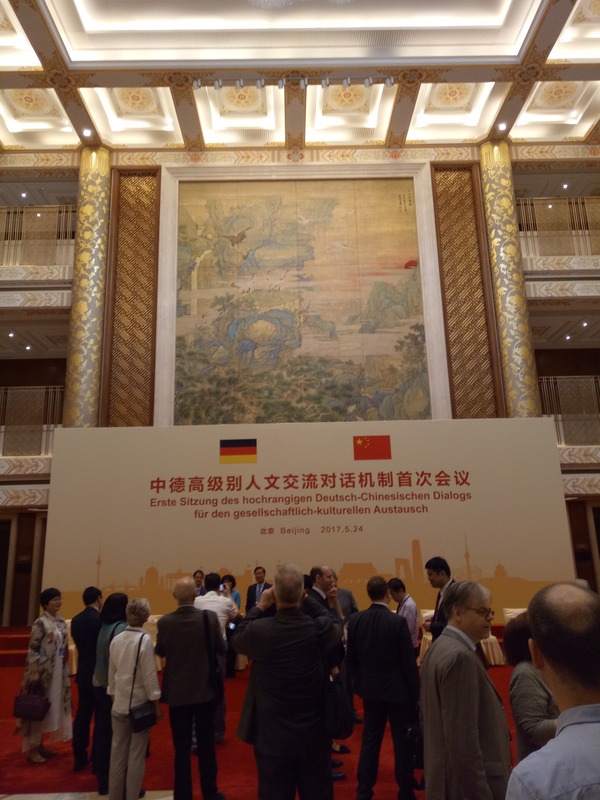 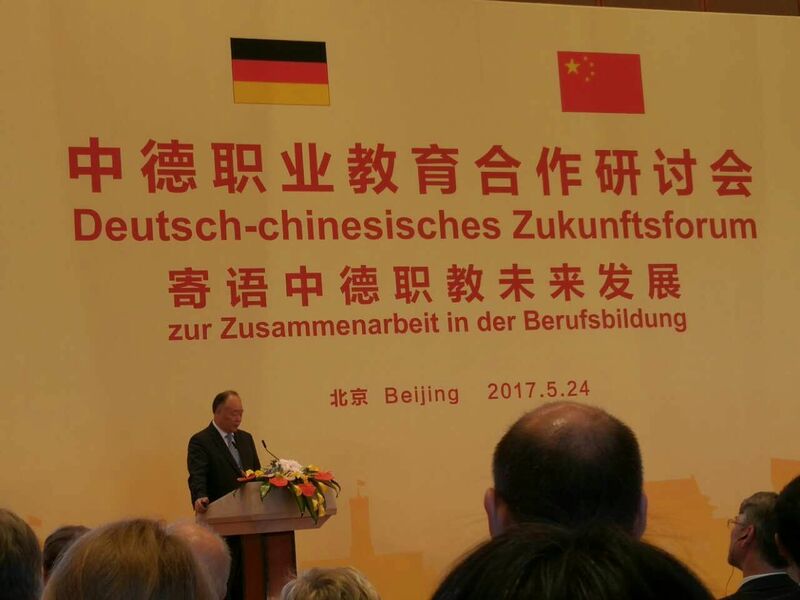 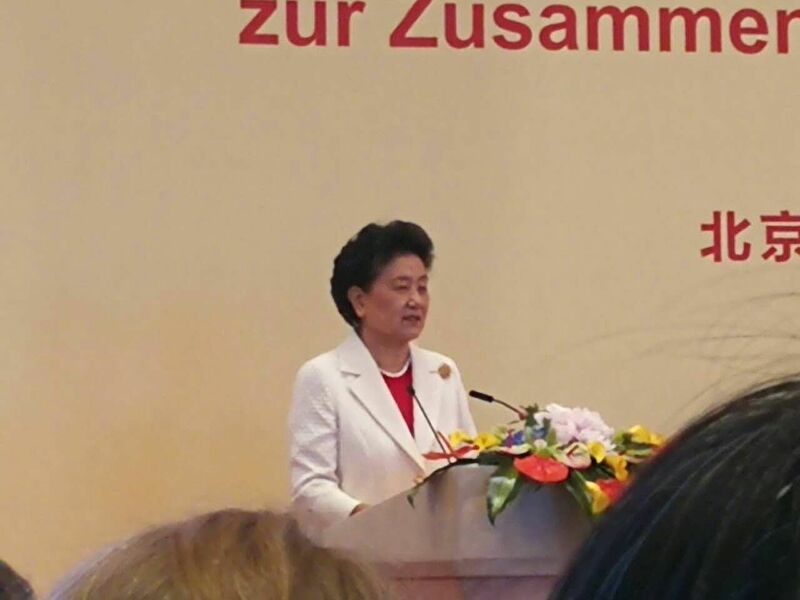 Yesterday I had the honor to attend the Chinese-German Future Forum on the Collaboration in Vocational Education [Deutsch-Chinesisches Zukunftsforum zur Zusammenarbeit in der Berufsbildung, 中德职业教育合作研讨会寄语中德职教未来发展] which was one of the parallel sessions of the [Ersten Sitzung des Hochrangigen Deutsch-Chinesischen Dialogs für den gesellschaftlich-kulturellen Austausch, 中德高级别人文交流对话机制首次会议] held at the Diaoyutai State Guesthouse [钓鱼台国宾馆] in Beijing as part of the delegation of our Hefei University [合肥学院]. The meeting was co-organized by the Central Institute for Vocational and Technical Education (CIVTE) of the Ministry of Education of China [中国教育部职业技术教育中心研究所], the China Education Association For International Exchange [中国教育国际交流协会], and the Hans-Seidel Foundation [德国汉斯·赛德尔基金会]. 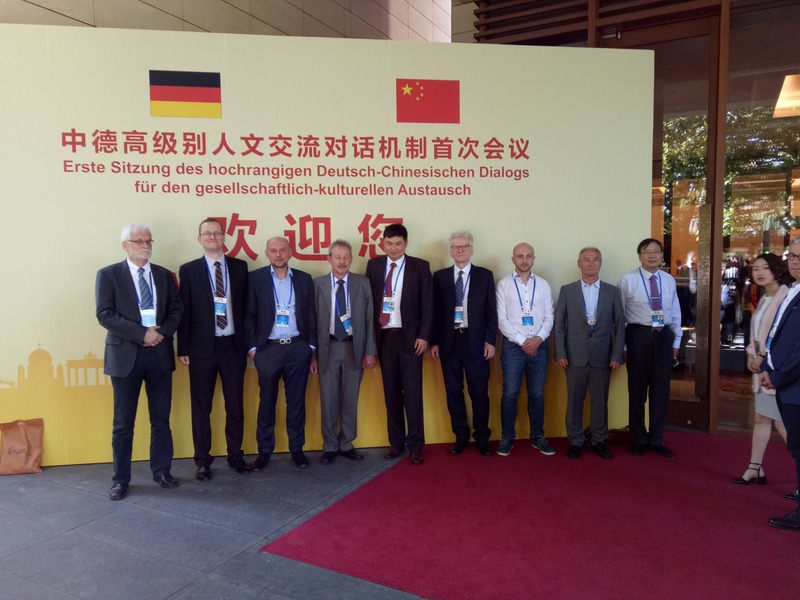 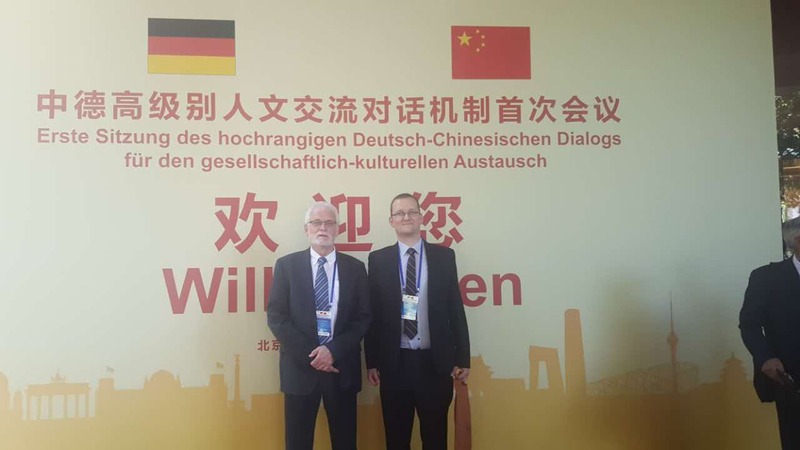 Hefei University can look back on a history of more than thirty years of highly successful collaboration with German institutes on vocational education, so this meeting was an important venue for us. 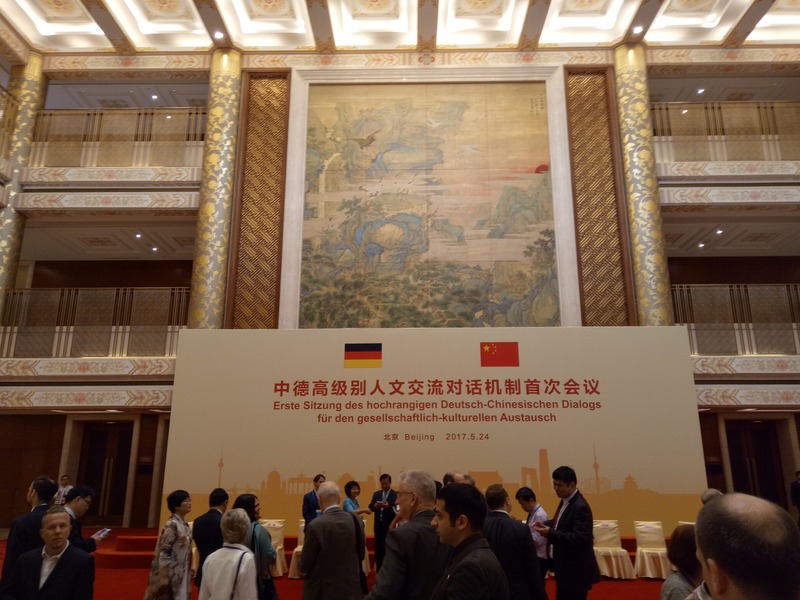 Here you can find the conference programme in Chinese and German language. 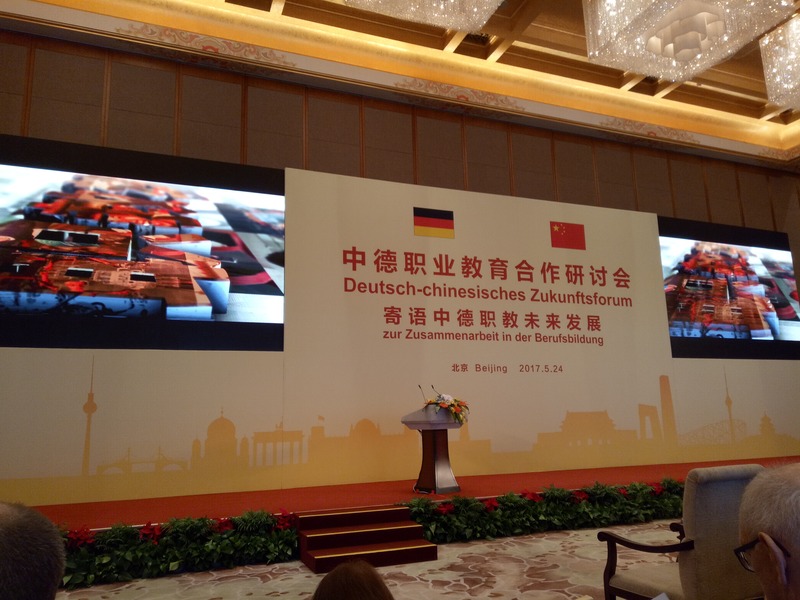 The meeting started with a very nice and informative video giving an introduction of the – if I remember correctly – more than 150 years of history of vocational education in China and the almost forty years of collaboration of Germany and China on the subject. 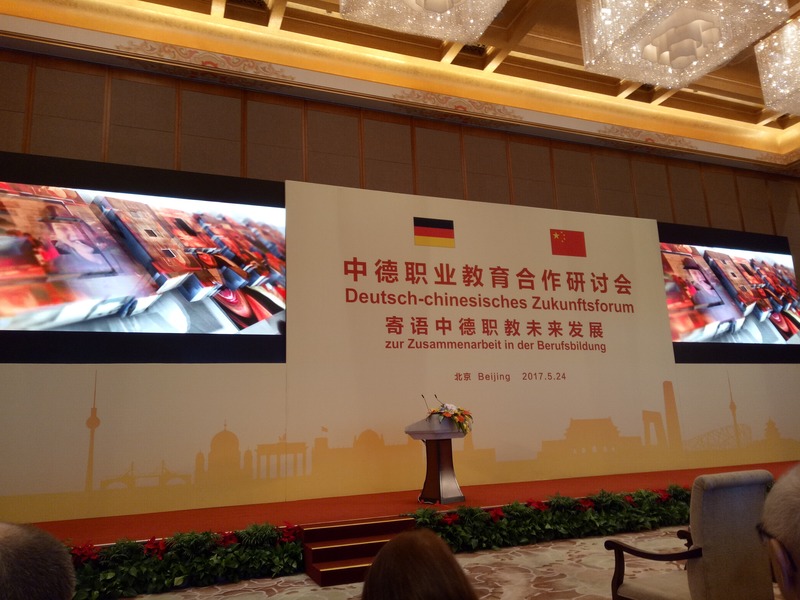 As part of the conference kit, a summary booklet on this long joint history was provided, which I scanned into a pdf (the first part is in Chinese, the second is in German, almost 20MiB). 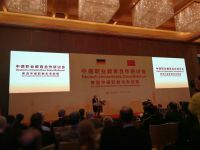 Today, China has the largest vocational training network in the world — which faces several challenges and the need for constant improvement. 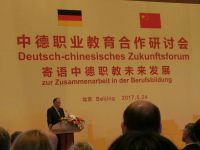 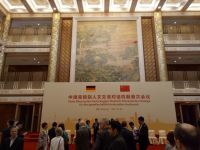 In two sessions, presentations were given usually in a tandem configuration of one expert from the German and one from the Chinese side. 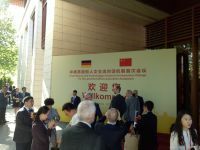 This configuration underlined the efficiency in which both countries have learned to work together. Several of the presenters showed successful implementations of the German "dual system" (which combines part-time education in a vocational school with on-the-job training) in China. 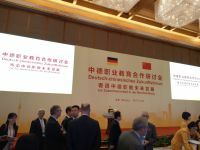 Quite a few international companies, such as Volkswagen and Bosch, engage with Chinese education institutes according to this concept. It was discussed that the education of the workforce may also be enhanced by improving the training of the teachers. 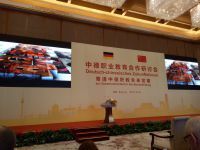 Only good didactics can support students to utilize their full potential. Only a motivated teacher can motivate a student. 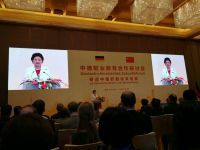 Students should not just learn a narrow set of skills, not just learn to function like an (efficient) machine. They should learn how to learn new skills, they should be taught general qualifications, trained towards general abilities that enable them to adapt to different tasks later on. 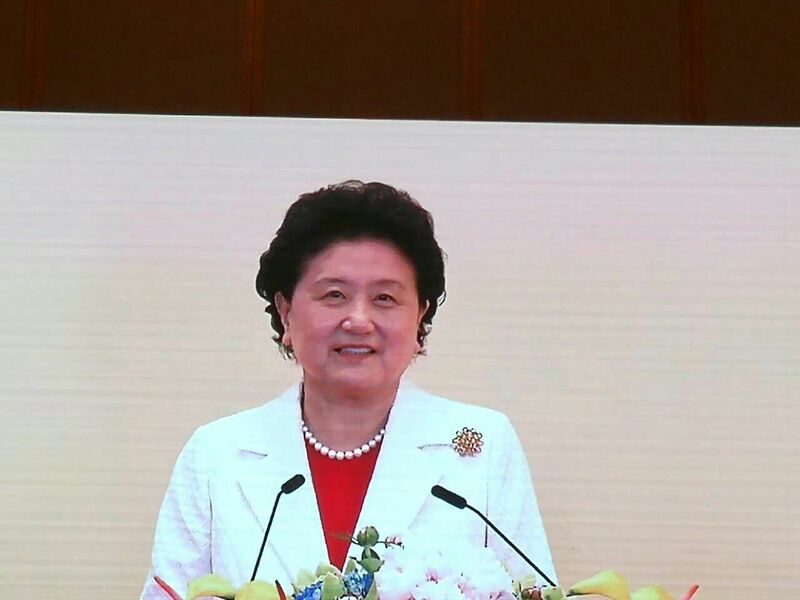 The presentations emphasized that a good education of the workforce is necessary to develop the economy, to enable workers to achieve a good life, and to cope with the challenges emerging in this century. 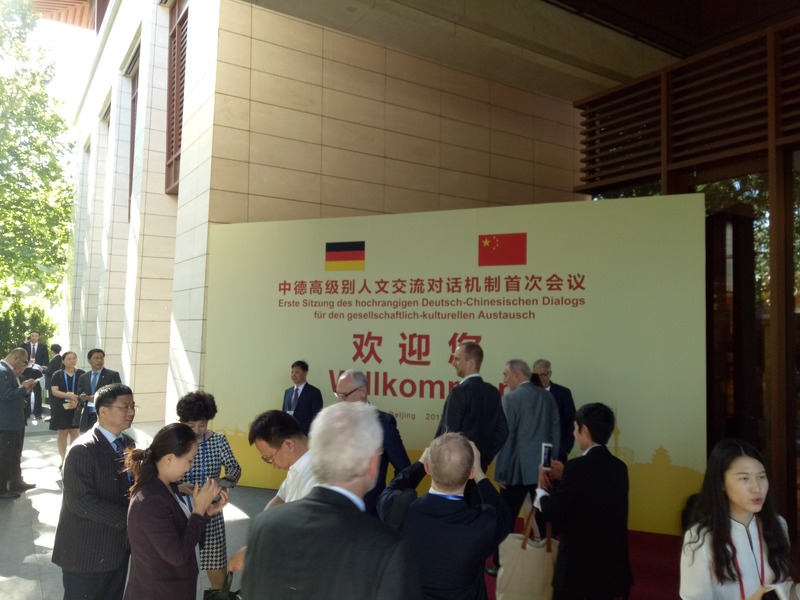 Especially the latter point was often made, as it also was the case at the Chinese-German Symposium on the Education of Practice-Oriented Professionals for Intelligent Production I attended earlier this year: Education cannot be a static thing. 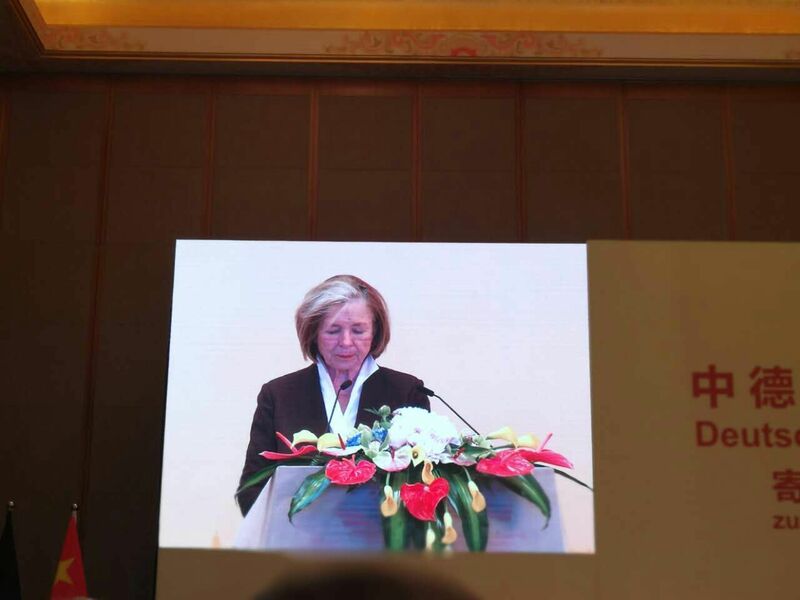 On one hand, it must steadily be improved from the didactic perspective, as mentioned above. 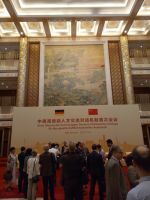 On the other hand, it also needs to be adapted to new challenges and requirements. While certain types of work are bound to become in obsolete during the next decades, new jobs with new profiles will emerge. This requires providing students with the ability to self-reliantly learn new skills all throughout their work career. 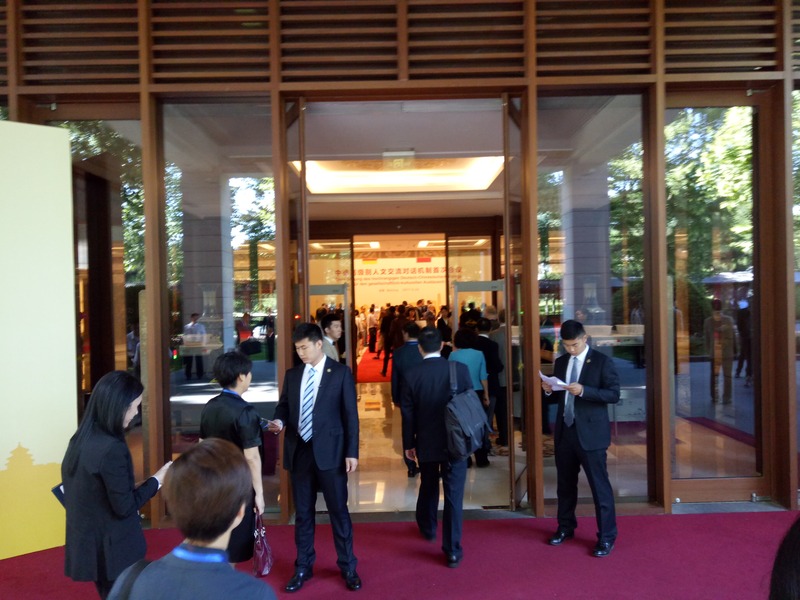 Internet Plus [互联网+] aims to combine Internet and information services with traditional industries, such as (Internet+)manufacturing, (Internet+)agriculture, and (Internet+)medical services, likely with similar requirements as Made in China 2025. Highlights of the meeting clearly were the inspriring talks by Vice-Premier Yandong Liu [刘延东], who has significantly contributed to the field of education all throughout her long and successful career, by Dr. Jin Yang [杨进], the Director-General of the Central Institute for Vocational and Technical Education (CIVTE) of the Ministry of Education of China, who welcomed the conference attendants and chaired the second session with much verve and enthusiasm for the topic, and of Prof. Ursula Männle who leads the Hans-Seidel Foundation, which has collaborated with China in the education field maybe longer than any other German organization.